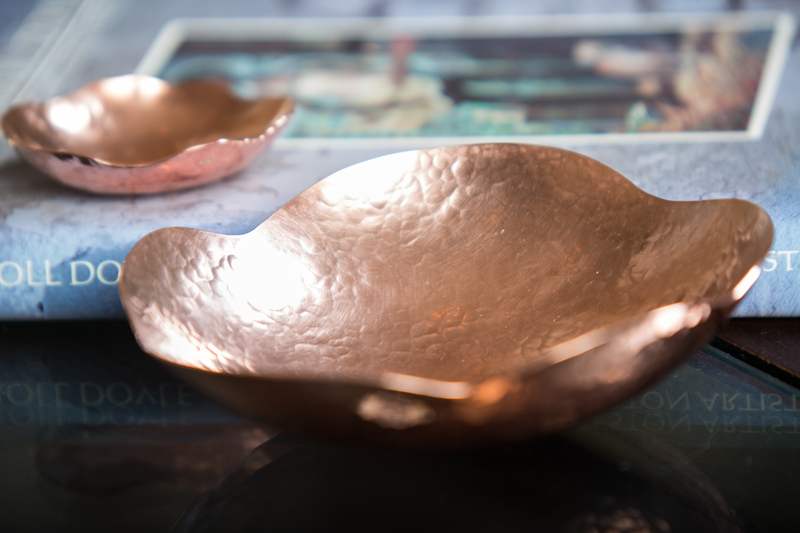 The design for this copper bowl was based on the poppy flower and inspired by WWI veterans’ adaptation of the poppy flower as a symbol of strength despite its delicate appearance. 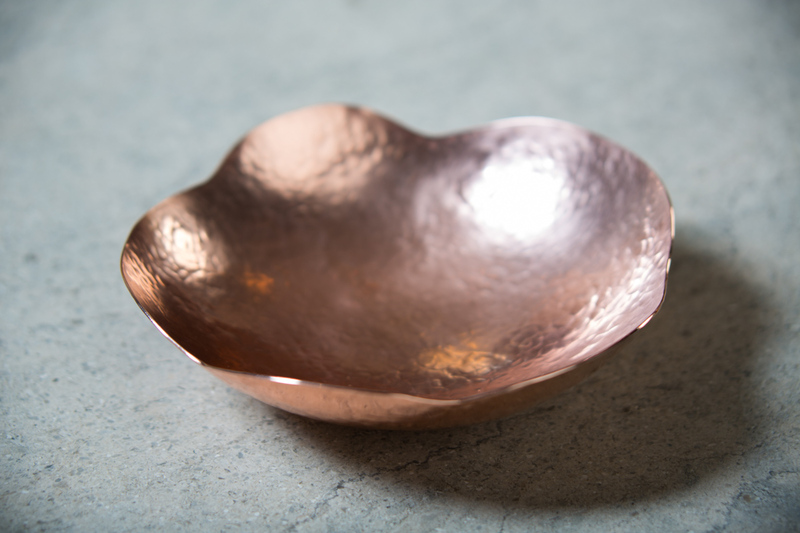 This copper bowl was raised through numerous rounds of hammering to build up the strong, yet elegant asymmetrical form. 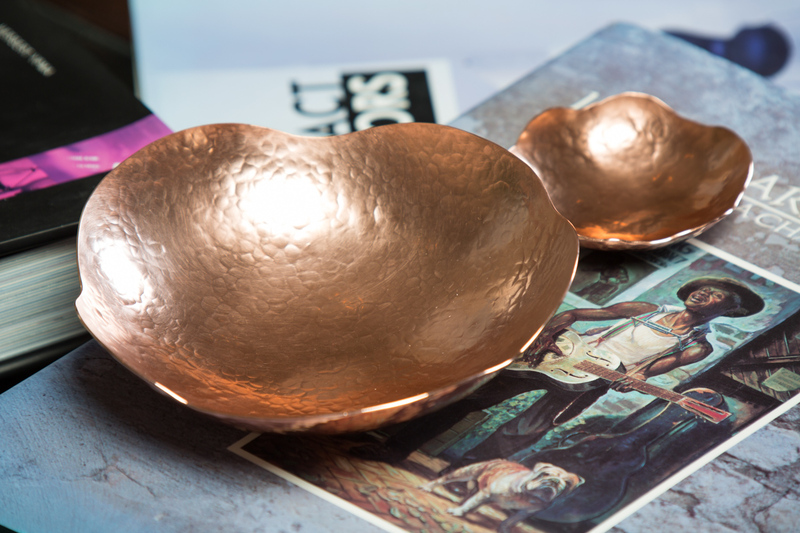 This hammered copper bowl is a lovely wedding gift and host or hostess gift. The silver 6″ size was featured in the September 2014 issue of Elle Decor magazine. * Please note that copper is not food or beverage safe and can be toxic, especially when exposed to acidic foods or beverages. The tarnish is also toxic and should not interact with food or beverages to be consumed.